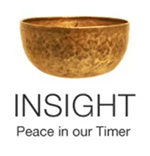 Wise Action, like all aspects of the Eightfold Path, arises out of the foundation of Right Understanding or View and the anchor of Right Intention. However, as mentioned in the last post, we may have challenging habitual patterns and unconscious behavior that sabotage our efforts to Wise Action. We come to the practice humbled by our inability to force different behavior upon ourselves. How often have we tried to break a self-destructive habit — an addiction, a lack of awareness, a leaning into the future as we race around getting things accomplished – only to find ourselves lighting up a cigarette, standing in front of the refrigerator with a carton of ice cream in our hands, or reacting with impatience, even rudeness, in a traffic jam. Through the practice of meditation, we not only begin to see our thoughts, sensations and emotions, we begin to see our behavior in the world. We recognize the uncomfortable thoughts that arise out of doing things that are contrary to our deepest intention. And in that recognition we can truly begin to shift away from destructive behaviors. Wise Action starts out identifying those things we can refrain from doing in order to free ourselves from suffering and in order not cause suffering to others. These are called the Precepts. There are five of them for lay people, more for monks and nuns. Every time we sit a retreat we begin by taking the Five Precepts, but they are useful in daily life as well. Like the Eightfold Path, the Five Precepts help us to identify where we are wandering into disconnection and suffering. Refrain from killing or harming other beings. from stealing, exploiting or deceiving. Refrain from misusing of our sexuality. Maintain clarity of mind by avoiding intoxicants. When we sit in meditation regularly our minds may clear to a point that these precepts naturally arise within us, bringing our actions in harmony with our intentions. The resulting sense of cohesion and calm is integrity. Integrity comes from the Latin ‘integ-’ which means whole, complete. We feel a sense of integrity in our being when our actions are aligned with our deepest wisdom. We feel we have come home to ourselves, that we are whole and complete. Though at first perhaps, taking such vows might feel daunting, keeping the Precepts is ultimately quite pleasurable as we find a spaciousness in our minds freed from the guilt, shame and confusion caused by harming, stealing, lying, over-indulging or clouding our minds. But a lifetime of habits does not always fall away easily. When they don’t and we are feeling miserable, we can look to the Eightfold Path and the Five Precepts for clues as to why we are feeling so badly. When we discover the source of our misery, we don’t beat ourselves up about it. We practice inner kindness. But we are also clear in our understanding that our behavior has caused harm to ourselves and probably others. While we are responsible for the resulting suffering, the resulting sense of guilt is useful only until it brings us insight. Once it has provided us with the opportunity to see clearly, we can let the guilt go. That moment of awareness always calls us to return to the practice with renewed dedication, anchored by Right Intention in the foundation of Right View. This entry was posted in behavior, habit, http://schemas.google.com/blogger/2008/kind#post, meditation, Precepts, Right Action, Wise Action on March 21, 2009 by Stephanie Noble.